In the opening scenes of this contemporary thriller, a hard-nosed Polish Catholic construction worker from Chicago pays a visit to his family’s farm in Poland only to find that his brother is being mysteriously threatened and shunned by local townspeople. What follows is a gothic tale of intrigue as the combative brothers are drawn inexorably into investigating the village’s dark secrets about its long deceased Jewish residents. 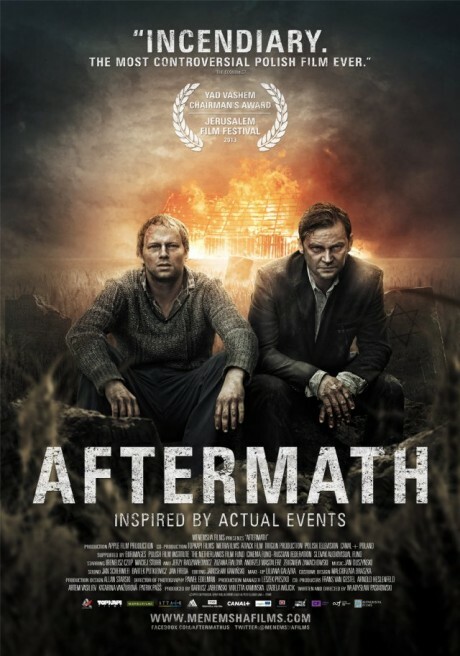 While the story of Aftermath is entirely fictional, its writer/director has drawn loosely from notorious incidents that befell Jewish villagers in Jedwabne during World War II. As such it is probably unprecedented: a high-profile feature film from Poland daring to raise the taboo topic of Polish indifference to—or outright complicity in—the Nazi persecution of Polish Jews.